An accident involving a Flydubai plane was inevitable, a former Flydubai captain told RT on condition of anonymity. He revealed that pilots are forced to work while exhausted, while saying he had been “worked to death” despite complaints. Speaking to RT in Doha, the former pilot said Flydubai’s top management was aware of the issue, but had done nothing to resolve it. “When I was still at the company, one of the last things I told management is that there would be an accident because of pilot fatigue,” he said. The reason for fatigue is simple – pilots are being repeatedly overworked and not given enough time to sleep between flights. The whistleblower provided documents showing that pilots, junior pilots in particular, are being assigned multiple flight shifts in a row. He argued that the crew often does not have enough time for sleep readjustment. 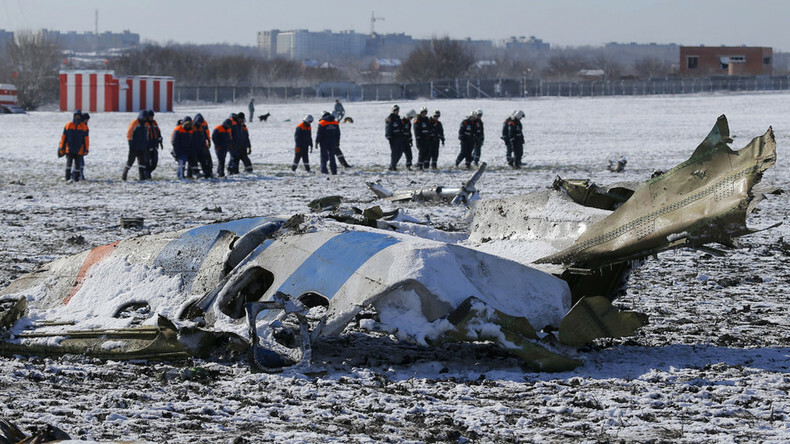 The former captain added he was sure that sleep deprivation had contributed to the Flydubai flight FZ981 crash in the southern Russian city of Rostov-on-Don, which killed all 62 passengers and crew on board. RT also obtained the flight log of the co-captain of flight FZ981, which revealed that Alejandro Cruz Alava had worked for 11 days with only one day off prior to the crash. The whistleblower commented on the documents, stating that Alava had been transferred from day flights to night flights without being given enough time to readjust his sleep pattern. Moreover, the captain of the flight, Aristos Socratous, had reportedly filed paperwork containing his resignation because of the unbearable schedule, and only had a few weeks left to fly, according to unnamed colleagues of the deceased. An Air Safety Report (ASR) from September 2015 seen by RT shows that many pilots reported showing up for work feeling exhausted and overworked. Rather than trying to fix the problem, Flydubai reportedly created a culture that shamed pilots for feeling tired, calling them “prima donnas” if they complained. Even worse, is that this type of hectic schedule is technically legal. “A lot of things legal that are just wrong, so [the airline] did have a legal schedule but it was not a healthy schedule,” the whistleblower said. Moreover, the safety culture within the airline was poor, he said, citing an incident when Flydubai shipped chemical oxygen generators on an aircraft from their maintenance base to Dubai and then covered it up. Falling asleep while flying has happened before at Flydubai, and sometimes even went unreported. “I remember one report, when I still worked there, a pilot filed a safety report saying that him and another pilot fell asleep after taking off from one of the out stations and they were probably asleep for about eight minutes … I know that sounds crazy but it is extremely easy to fall asleep. It’s the same noise level and it’s quite boring, and the autopilot is on,” the former captain said. In addition, flying fatigue makes any pilot more vulnerable, he added. The consequences for falling asleep at Flydubai are none at all, according to the former captain. “There have been people report[ing] that they have completely fallen asleep at the controls at Flydubai and their company doesn’t do anything,” he said. At other airlines, reports of sleeping during a flight usually lead to medical examinations, with the doctor particularly on the lookout for chronic fatigue and sleep apnea. In giving his reasons for speaking out, the former pilot said people need to be aware of what is going on behind the scenes at Flydubai. “It’s ridiculous that there’s been an aviation industry for so long and this stuff is still going on. And you hear about people being worked to death. I had some months at Flydubai where I really felt like I was being worked to death. And I just couldn’t do it. [People] buy an airplane ticket and they assume that they are safe on the airplane, but the way that an airline like Flydubai rosters their pilots, it’s not safe. It’s not safe at all,” he said.